LG has uncovered its latest OLED TV for home theater fans at IFA in Germany earlier this week. 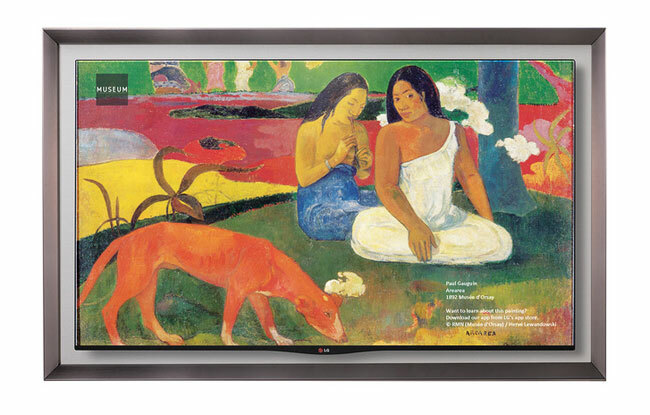 The screen is 55-inches wide and the first of its kind to be mounted on the wall. The TV screen has very thin bezels and hangs with a surround that looks like a picture frame. This is kept as the main highlight of the wall mounting capability. The TV has the capacity to masquerade as a piece of wall art on its special gallery mode. It also encompasses images of famous artworks preloaded on the computer so that it exactly looks like a picture frame on the wall. You can not only highlight the fact that you have a TV hanging on the wall, the picture frame surround also hides the television’s Canvas Speaker system. Its Canvas Speaker system is actually a 2.2 speaker system with astounding sound quality that will go along with the image. The price is not revealed yet, but we can presume that it won’t be cheap.